The Galaxy shoulder bag is great for carrying smaller items and if you travel by aeroplane. The bag is constructed from PVC which is 100% waterproof. The bag is secured with a double buckle to ensure your items are safe inside. 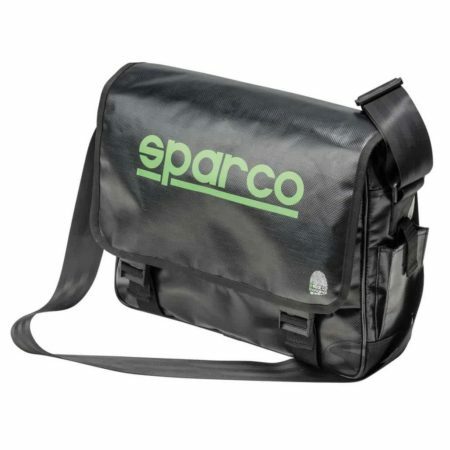 The Sparco bag includes a large main section with extra external pockets for phones, pens and the like. There is also a rear zipped pocket. Bag dimensions: 28 x 40 x 8cm.